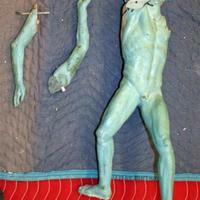 Resin casting of Carl Milles' God from God and the Rainbow. Arms are detached. Blue-green in color.